Canada’s FX industry is considerably more sparse than that of the United States, and is regulated on a provincial rather than federal basis. With the majority of the financial markets activity concentrated in Toronto, North America’s third-largest financial center, the northern dominion’s authorities are beginning to demonstrate a lack of tolerance toward those who seek to operate with detriment toward client interests, including involving the police in order to treat such matters as criminal rather than civil offences. 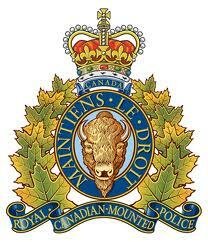 The Greater Toronto Area division of the Royal Canadian Mounted Police (RCMP) has today charged two individuals, Alan Zer and Rony Spektor, and the company of which they are directors, InvesTech FX Technology, with operating a fraudulent scheme spanning over three continents and 10 countries, which has inflicted millions of dollars in losses on victims from around the world, according to a report by the RCMP today. The RCMP alleges that between January 1, 2008 and November 25, 2013, Alan Zer and Rony Spektor operated their website to draw FX investors worldwide into opening trading accounts. Investors deposited funds into the accounts believing that InvestTechFX was facilitating active trading in the FX market. However, the investigation has revealed that InvestTechFX did not honour the client trading orders. The funds were simply transferred into personal accounts of Mr. Zer and Mr. Spektor. According to the RCMP’s case, investors’ attempts to withdraw their funds were denied by InvestTechFX through allegedly false, misleading and deceitful justifications. On November 28, 2013, RCMP investigators executed a search warrant at an office in Toronto where the majority of the victims were enticed to transfer funds into their InvestTechFX accounts. During the search warrants, police found and seized evidence consistent with ‘boiler room’ activities. Three individuals found working in these premises were arrested and released on a ‘Promise to Appear’ at the Toronto West Courthouse at 1000 Finch Ave. West in North York, Ontario on January 3rd, 2014. Warrants have been issued for the arrest of Mr. Zer and Mr. Spektor, who are alleged to be the masterminds of this elaborate scheme. Their whereabouts remain unknown to police. RCMP laid ‘Informations’ on Mr. Zer and Mr. Spektor at Toronto Old City Hall Courthouse at 60 Queen St. West in downtown Toronto. WHY IS THE SITE STILL ONLINE? ?